Item # 313148 Stash Points: 1,495 (?) This is the number of points you get in The Zumiez Stash for purchasing this item. Stash points are redeemable for exclusive rewards only available to Zumiez Stash members. To redeem your points check out the rewards catalog on thestash.zumiez.com. Add a chic new look to your accessory collection with the Translucent Purple Bowtie Sunglasses from Empyre. 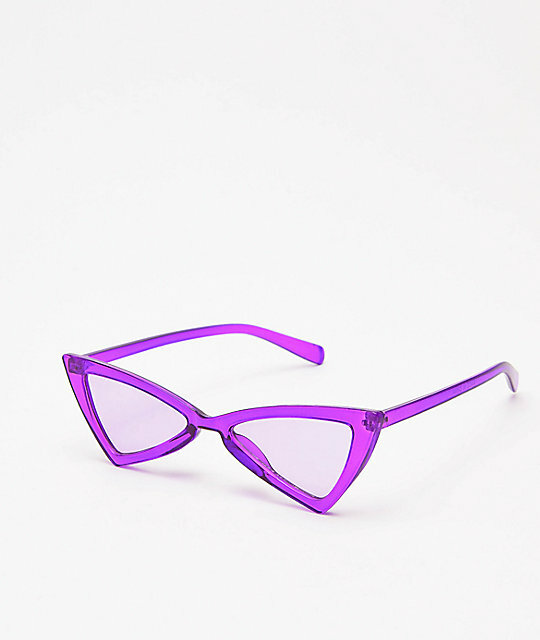 With a retro bowtie frame design in translucent purple, and clear lenses, these exciting sunnies are a must-have for your fashion-forward looks. 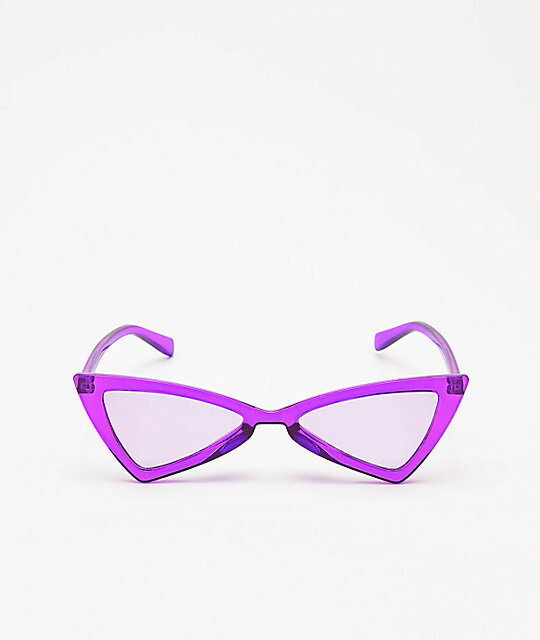 Translucent Purple Bowtie Sunglasses from Empyre. Clear lenses with translucent purple frame.